“Weird Al” Yankovic’s vote for funniest movie ever: Top Secret! 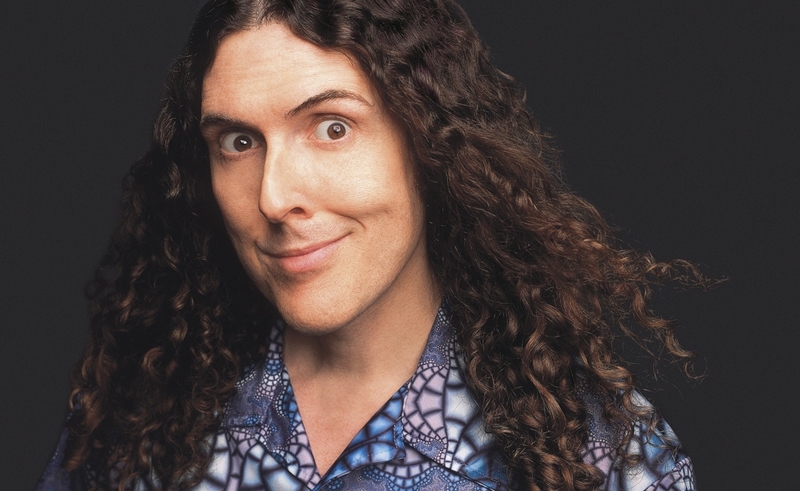 Over the course of more than three decades as a musical parodist, “Weird Al” Yankovic has become an inextricable part of music culture: From his humble origins as “the goofy guy who does novelty parodies of pop songs, and acts wacky on MTV,” he’s became a comedy staple, winning three Grammys, accumulating a pile of platinum-certified albums, and co-writing and starring in the 1989 cult comedy movie UHF. He’s also built a reputation as a tireless, energetic live performer; he’s only now winding down the tour for his latest album, 2011’s Alpocalypse. And he’s never been given enough credit for his dozens of original tracks, designed as pitch-perfect mimicries of specific performers, rather than parodies of individual songs. Musical career aside, in 2011, he became a bestselling author as well, with the children’s picture book When I Grow Up. He followed up earlier in 2013 with My New Teacher And Me!, and he’s currently on a brief signing tour for the book, through the end of September. The Dissolve: Why is Top Secret! compulsory viewing? “Weird Al” Yankovic: If I were forced at gunpoint to name the funniest movie I’ve ever seen—or just asked politely, that would work, too—I’d have to say Top Secret! And before you ask, yes, I have seen both Sophie’s Choice and The Hurt Locker. I’d still have to go with Top Secret! It’s just one of those movies that—when it comes on TV, I tell myself I’ll watch it just for a minute or two, and then I invariably wind up watching the whole thing. I’ve seen the movie dozens of times. Probably more times than any other movie, with the possible exception of UHF, which I’ve had to watch multiple times for obvious reasons. The Dissolve: What about it draws you in? Yankovic: I’m a huge fan of that particular kind of spoof comedy. For people that either weren’t around or weren’t paying attention back when Airplane! came out, spoof movies have gotten a bad rap. I absolutely love films like Monty Python And The Holy Grail, Young Frankenstein, and the original Airplane! But there have been so many incredibly bad spoof movies done in the last few decades, movies that literally hurt your brain as you’re trying to process them as comedy, that the genre seems kind of tainted now. Movies like Airplane! and Top Secret! had the formula just right. When they came on the scene, it was a fresh and unique brand of comedy. They were doing completely insane things with a completely straight face. They’d toss out as many ridiculous gags as possible, and didn’t even give you time to react. It was machine-gun-style comedy, done in a very smart/stupid way. The Dissolve: Does the fact that it’s also a musical comedy, featuring musical parodies, have a particular appeal for you? Yankovic: Yeah, sure, I wanted to be Nick Rivers. I was very envious of Val Kilmer, because Top Secret! would’ve been such a great vehicle for me at the time. And the music pastiches were just so spot-on: They nailed the surf genre, they nailed the Elvis thing. I ran into Val Kilmer on an airplane once, the only time I ever met him. We were sitting across the aisle from each other, and I waited until the end of the flight, and I told him as we were leaving that Top Secret! was my favorite movie of all time. And he gave me a look, which if I had to translate, would’ve probably been, “I was freaking Jim Morrison. I was Batman. Why are you bringing up Top Secret! ?” But that movie had such a huge impact on me, I just had to share the love. The Dissolve: You talked about that meeting when you introduced the film for your sponsored Comedy Bang! Bang! showing, which means you’ve put yourself out there publicly as a huge fan of the film. Have you ever gotten any pushback about it? Yankovic: No. I think most comedy nerds have the same kind of affection for it. I don’t know anybody that would have a problem with Top Secret! I know that when it came out, it wasn’t a box-office hit, and when I mention the movie to the ZAZ guys, they roll their eyes a little. They treat it like it was a flop; I suppose box-office-wise, it didn’t measure up to expectations. It was their follow-up to Airplane! They adamantly refused to be involved with Airplane II. They made a decision based on art instead of commerce—practically unheard of in Hollywood! I think artistically, it was a great choice. But Top Secret! wasn’t a high-concept movie. It was a hard one for the marketing department to wrap their heads around, because it didn’t have a traditional plotline the way Airplane! did. It was basically an Elvis movie, mixed with a surf movie, mixed with a World War II movie, mixed with a spy movie. And it was brilliant. It was like some bizarre fever dream. It seems like the studio’s advertising department just threw up their hands in frustration. The whole publicity campaign was based around the image of a cow wearing combat boots. And the general public didn’t know quite what to make of that, so they stayed away from the theaters in droves. The Dissolve: All three of the ZAZ guys are on the DVD commentary track. One of their topics is how the film was inspired by classic movies they watched, which inspired specific scenes, which they then strung together loosely. When you first encountered this film, were you familiar with any of the source material? Yankovic: I was somewhat familiar with it—I got the gist of what they were doing. I don’t think I had actually even seen The Dirty Dozen when I first saw Top Secret!, but I got where they were going. That is one of the hallmarks of a great parody, and an excellent rule for parodies in general: A parody should be funny even if you’re not familiar with the original source material. That’s one of the big reasons a lot of the more recent spoof movies fail to be funny: They’re really just “reference movies.” “Oh, do you remember this pop-culture thing? Remember this pop-culture thing?” And if you don’t happen to remember that thing, it’s not particularly funny. Top Secret! and the other early ZAZ films were funny without any caveats. Even if you didn’t know specifically what they were lampooning, you still got the joke. The Dissolve: Still, as you watched more films over the decades, did you wind up saying, “Oh, this explains that Top Secret! gag”? Yankovic: Oh yeah. The same thing with Airplane! I just recently saw Zero Hour!, which Airplane! is based on. And entire scenes are lifted whole cloth out of Zero Hour! and just given the typical ZAZ spin. And I recently watched The Dirty Dozen with my band while on tour this summer, and I was like, “Okay, that’s where they got that… That’s where they got that…” I guess it’s similar to the experience a lot of my fans have when they hear my parodies before they hear the original songs on which they’re based. The Dissolve: Is there any kind of evangelical aspect to parody, where you like an original, and want people to find it through your work? Yankovic: I think people who make parodies are primarily just going for laughs and trying to be entertaining, but that doesn’t mean parodies can’t also be educational or enlightening. Parody, whether in film or music, can lead people to explore new things that they haven’t experienced before. I have to assume that I’ve turned a number of people onto musical genres and artists that they might not have been exposed to otherwise, and the same kind of thing certainly holds true for the ZAZ team. I’m sure they helped people to discover some really cool old movies and TV shows. I wasn’t familiar at all with M Squad, the old Lee Marvin series on which the brilliant parody Police Squad! was based. And then I watched a bunch of the old episodes on YouTube and was amazed by how accurately they emulated the style of those old hard-boiled police procedurals. The Dissolve: Also on the DVD commentary, the ZAZ team is dismissive and negative about the film in a way I’ve never heard from directors or producers talking about a film where they had final control. They say it’s too long, there aren’t enough jokes, the story is bad, the characters aren’t sympathetic—really in-depth critiques. Does it feel odd to champion a film that the creators won’t champion? Yankovic: Well, I was feeling a lot of the same things when UHF came out. I was hurting a lot, because it was such a box-office flop. And I was very encouraged by fans that took up the cause and said, “No, no, no, we liked it!” So I enjoy being able to lend my support to something that the directors themselves maybe are a little down on. I don’t really know why Top Secret! wasn’t a bigger hit than it was. But I’m obviously a huge fan, and I’m certainly not the only one. The Dissolve: Did you first see it during its ill-fated theatrical run, or were you one of the vast hordes of people who made it a cult hit on video? Yankovic: No, I saw it in the theater. I was on a date. It was what, 1984? I think I laughed harder than I’ve ever laughed in a movie theater. I missed entire jokes because I was laughing so much. I was practically giddy from the experience. The Dissolve: Did your date like it, or was it one of those dates that fall apart because you learn too much about each other’s tastes early on? Yankovic: [Laughs.] No, she liked it too, but as it turns out, that relationship didn’t go anywhere. Oh well. The Dissolve: What’s your single favorite gag? Yankovic: Oh, it’s so hard to pick, there are so many. I believe there was a TV version of the movie, which for some bizarre reason had jokes that weren’t in the theatrical cut, and there was a line in it that I thought was maybe the best metaphor of all time: “Your life will be worth less than a truckload of dead rats in a tampon factory.” I mean, that’s just beautiful imagery there. I also love the Swedish bookstore bit where the entire scene is filmed backward. I basically lifted that idea for the end of my “Amish Paradise” video. In fact, there are many things in this movie which I wound up paying homage to... or, as they call it in the comedy community, “stealing.” The end-credit sequence where Nick Rivers and his background singers are doing their faux-Elvis number was the inspiration for my “One More Minute” music video. I always tell people that’s my Elvis tribute, but it’s actually my tribute to Nick Rivers doing Elvis. The Dissolve: You say you’ve talked to the ZAZ guys about the movie. Did you mention it inspiring your work? Yankovic: I might have, I don’t really remember. I’m sure if they’ve seen my work, they’ve recognized their obvious influence on it. The Dissolve: The film soundtrack was released as a Nick Rivers album, and it became a collectors item. Did you ever own it or want to own it? Yankovic: I have a copy of that on vinyl! I didn’t get it when it first came out, but I was lucky enough to nab that at a used-vinyl store many years ago. So it’s somewhere in my collection as we speak. The Dissolve: Val Kilmer’s baby-faced sincerity as Nick is a big part of the humor. He seems so soft and open and naïve. His image as an actor has changed so much since then. Yankovic: This was his first movie. He peaked right out of the gate. One of the jokes in the movie, which very few people would get now—it was a throwaway background gag—is the scene where he’s in his jail cell, and there’s a picture of Cher on the wall. And the reason that’s funny is because at that time, the only thing people knew about Val Kilmer is, “Oh, he’s that young kid Cher is going out with.” That was really his only claim to fame at the time: He was Cher’s boy-toy. The Dissolve: You said this is the funniest movie you’ve ever seen. That does mean you’re saying it’s funnier than Airplane! Yankovic: Slightly. Slightly. I think Airplane! was hilarious, of course. It’s easily one of my top favorite movies of all time. But I think Top Secret! had some better gags and was more consistently funny. Airplane! has a special place in my heart, though, because it was the first movie of its kind, at least to my knowledge. It was an epiphany for me. I’d never seen a movie quite like that before. It was a fresh vision, which went on to be copied many times, with the copies unfortunately getting worse and worse over the years. The Dissolve: The underwater bar fight at the end is one of the most memorable parts of the movie, just because it seemed miraculous at the time that they managed to stage it all. Yankovic: It was more impressive than the underwater filming in Titanic or The Abyss. What’s great about that scene is that it just goes on way longer than it ever should. You think the gag is over, and then it gets bigger, and they widen out, and there’s a full Western bar room there. And it just keeps going on and on. Which is obviously part of the joke, but it’s just amazing the way they were able to pull off shots like that. The Dissolve: Any last thoughts, any recommendations for somebody who has not seen this movie? Yankovic: It’s just a quality spoof. There have been a lot of bad spoof movies in recent years because they can be produced fairly cheaply, and a significant number of people will apparently still go to see them whether or not they’re an egregious assault on the very concept of comedy. It’s the same reason why there continues to be so much reality TV, even though most of it is horrible. Top Secret! is a top-notch movie, though. The guy that did the music for it, Maurice Jarre, did the score for Lawrence Of Arabia, for crying out loud... as well as Doctor Zhivago. Speaking of Doctor Zhivago, Omar Sharif is in the movie… Omar Sharif! And he’s hysterical! All I can say is, thank goodness Mr. Sharif allegedly had a gambling problem, because if he wasn’t deeply in debt he might not have taken this gig, and then we probably wouldn’t have had the opportunity to hear him utter the immortal line, “You forgot your fake dog poop.” Also, whatever happened to Lucy Gutteridge, by the way? She was the co-star of the movie, and we never really saw much of her again. I have to assume Val Kilmer vampirically drained all of her cinematic life force. I IMDB’d her, and didn’t see much on her résumé after that movie. The Dissolve: On the commentary, the ZAZ crew list off a bunch of women who starred in their films and then had their careers disappear. Their theory is that after working with the best, going on to work with directors like Steven Spielberg or Stanley Kubrick would’ve been a huge letdown, so actors didn’t bother. Yankovic: [Laughs.] Might as well go out on top.